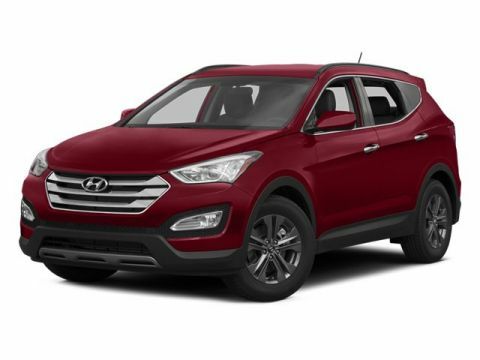 Look at this 2014 Hyundai Santa Fe Sport 4DR FWD 2.4. Its Automatic transmission and Regular Unleaded I-4 2.4 L/144 engine will keep you going. This Hyundai Santa Fe Sport comes equipped with these options: TECHNOLOGY PACKAGE 04 -inc: Side Mirror-Mounted Turn Signal Indicators, Automatic Headlight Control, Windshield Wiper De-Icer, Heated Steering Wheel, Proximity Key Entry w/Push Button Start, detachable valet key, Auto-Dimming Interior Mirror w/Homelink/Compass, Electroluminescent Gauge Cluster, color LCD trip computer, Heated Front Seats, Fog Lights, Ventilated Front Seats, Dual Zone Automatic Temperature Control, CleanAir ionizer, Leather Wrapped Steering Wheel & Shift Knob, Premium Door Sill Plates, Rear Parking Assistance System, Heated Rear Seats, Manual Rear Side Window Shades, Heated Exterior Mirrors, Power Driver Seat w/4-Way Lumbar Control, Radio: Navigation System w/Dimension Premium Audio, AM/FM/CD/SiriusXM/MP3, 8 color touchscreen audio display w/rearview camera, Bluetooth hands-free phone system and Blue Link telematics system, Driver's Integrated Memory Seat, Blind Spot Detection (BSD) System, Sliding & Reclining 2nd Row Seats, cargo area releases, Power Front Passenger, MINERAL GRAY, GRAY, STAIN-RESISTANT CLOTH SEATING SURFACES -inc: Yes Essentials fabric, GRAY, LEATHER SEATING SURFACES, FIRST AID KIT, CARPETED FLOOR MATS, Wheels: 17 x 7 Aluminum Alloy, Variable Intermittent Wipers, Urethane Gear Shift Knob, and Turn-By-Turn Navigation Directions. Test drive this vehicle at Red McCombs Hyundai Northwest, 13663 IH-10 West, San Antonio, TX 78249.